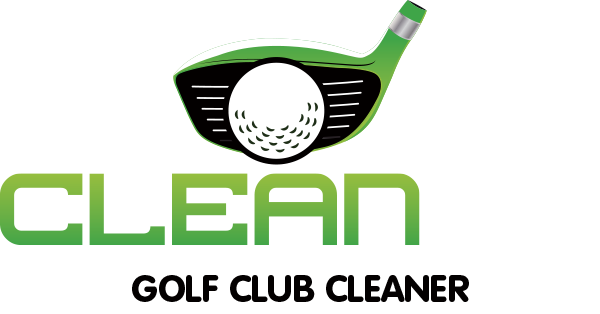 Here are the most frequently asked questions about the Clean Hit Golf Club Cleaner. If your question isn't listed, contact us here for assistance. What is the Clean Hit Golf Cleaner? This device was designed as a complete golf club, golf ball and golf grip cleaning tool for all levels of golfers. The Clean Hit Golf Club Cleaner is the perfect tool to attach to your golf bag, golf buggy or even on your belt thanks to a unique design that contains water and a hard bristle brush head, all operational at the press of one button with no use of batteries for operation. How do I re-fill it with water? Remove the cap from the unit, hold the body and unscrew the bristle head anticlockwise. Fill with water and detergent if desired. Replace bristle head by turning clockwise. Turn until bristle head stops in its final position. How do I clean the face of my golf clubs? a. Hold the head of your club in your non preferred hand with the shaft of the club under your armpit. b. If there is baked on debris in the grooves of your club, select the appropriate groove cleaner from the two at the bottom of the Club Cleaner. Using your thumb, slide out either the “v” or “square” scraper from the Club Cleaner depending on the grooves in your club, and scrape to remove debris. c. Hold the Club Cleaner in your preferred hand with the bristles facing downwards. d. Aim the bristles towards the club head and squeeze the buttons on each side of the Club Cleaner simultaneously until a spray of water hits the face of the club. e. Scrub the face of the club with the bristles. f. When the grooves on the face of the club are clear of debris spray the face again. g. Wipe with your dry towel. The above process can be used for every club including your driver and putter. How do I clean my golf ball? Carry a small dry cloth in your pocket. When you pick up your ball from the green, place the ball in your other hand while holding the cloth from your pocket. Use the Club Cleaner to spray and scrub the ball. Wipe the ball clean with your cloth and proceed to play. How do I clean my golf grips? Hold the shaft of your club firmly with the end of the grip on another surface (table, ground) Spray the grip with Club Cleaner and proceed to scrub. Rotate the club shaft as you scrub until you have completed the surface of the grip. Spray grip again and wipe with towel. Where can I buy a Clean Hit Golf Cleaner? At the moment it can only be purchased via this website. I’ve worn my bristles out on my cleaner, can I get a replacement? Replacement bristle heads can be able to be purchased form the website in late 2016. We use Paypal to securely process purchases online. Paypal accepts payment of Visa, Mastercard, American Express, Discover Card. Buyers are able to use Paypal without signing up to an account by clicking on the button at the bottom of the payment page “Pay with a debit or credit card”. How long is the warranty on my Clean Hit Golf Cleaner? Warranty claims are subject to the discretion of Clean Hit Golf. Any Defective product may be returned anytime while under the manufacturer’s warranty period. Clean Hit Golf products come with a 12 months manufacturer's warranty not including the brush head. If a defect occurs with any product, please contact Clean Hit Golf for evaluation. Please contact Clean Hit Golf. prior to returning any merchandise for warranty or defective consideration.